The Founder and CEO of Grapplers Quest, Brian Cimins was in attendance for ACC 15, sitting cage side. 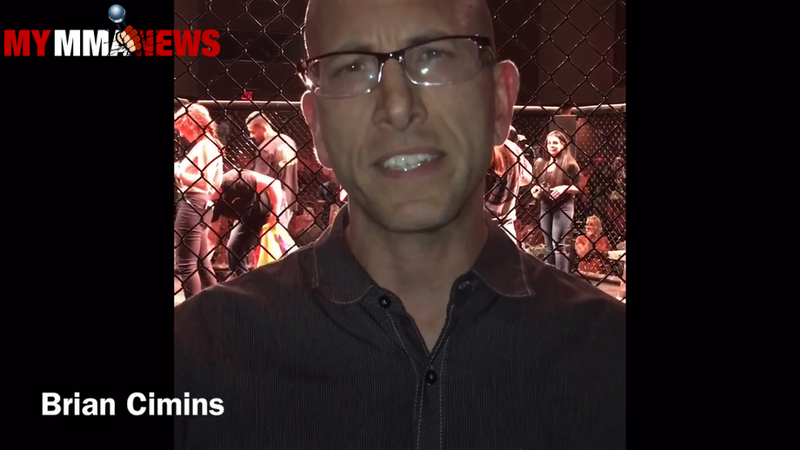 After the night ended, My MMA News asked Cimins his thoughts on the fights. Cimins gave about a 60-second interview to My MMA News. The Grapplers Quest founder enjoyed the bouts Saturday evening. Cimins attendace proves that everyone involved has the same goal at heart, to take MMA in the Empire State to the next level. The CEO of Grapplers Quest brought giveaways with him for the beautiful ring girl, Melisa Vlasaty to toss into the crowd. Cimins’ mentions at the end of the video the next Grapplers Quest tournament will be in 2017. Interview with founder and CEO of Grapplers Quest, Brian Cimins. Post-fight interview – his thoughts on the event.